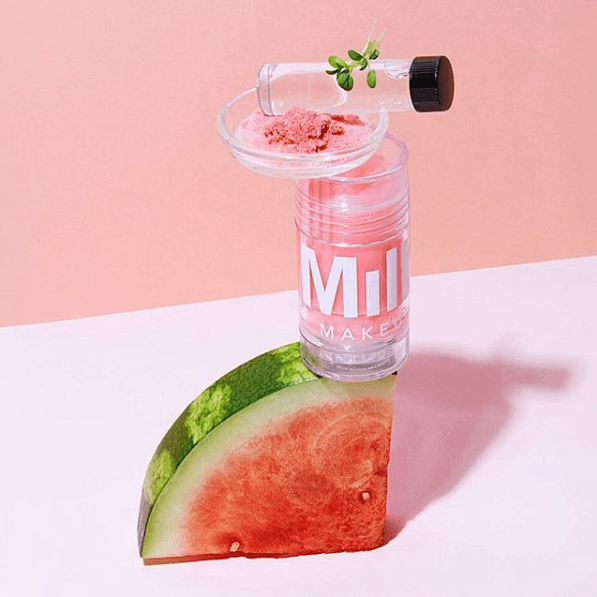 Milk Makeup is on their innovation game! Seriously, they are always doing something different! They are launching their Watermelon Serum on Tuesday, 4.03! This is the first ever serum in a stick form! It is meant to hydrate and brighten, with all the awesome watermelon benefits (and smell!) and extra goodies included in the ingredients! Some people may have gotten lucky and snatched this up when it was briefly available last week. The serum will be $36 and you can get it both at Milk Makeup’s website and Sephora. 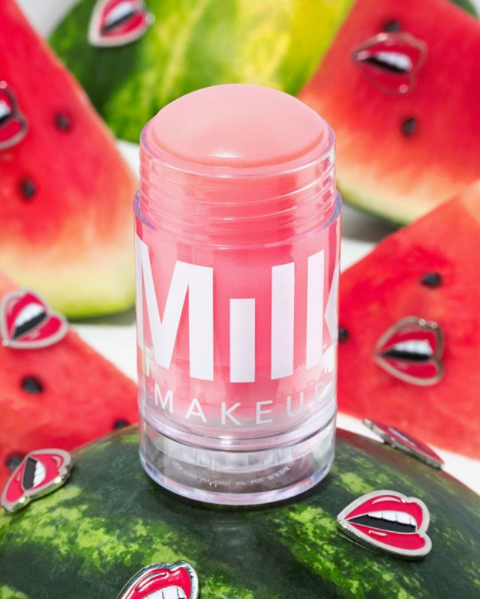 I honestly can’t imagine anyone that wouldn’t be drawn in by this products – it is so cute and pink and umm who doesn’t love watermelon?? 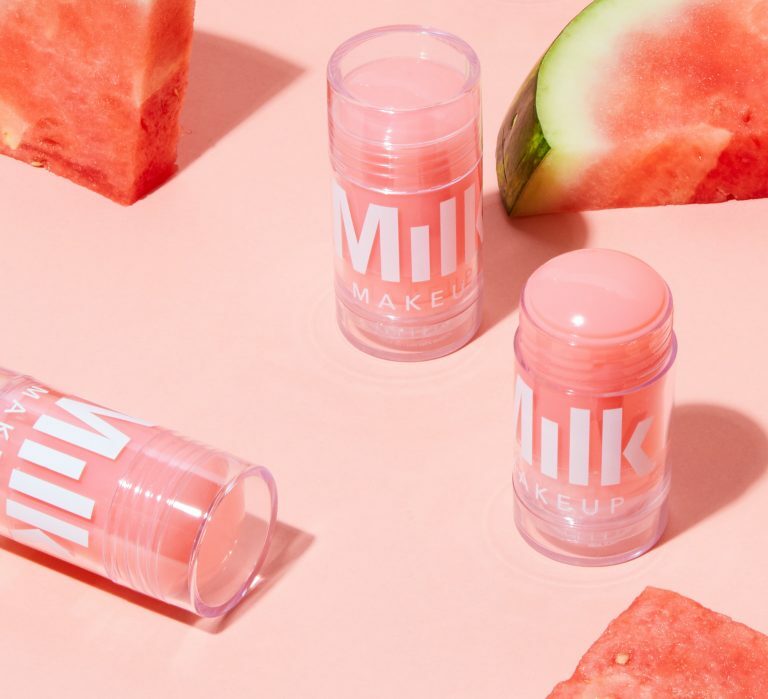 We love the Milk Makeup is branching out of their makeup comfort zone and dabbling in skin care! I’m personally not a huge skin-care junky (tbh, I don’t even like, wash my face… oops…) but I can imagine having your serum in stick form would be so handy! I would definitely eliminate the mess of having to apply it to a cotton pad and then have to rinse it off. Plus, it’s way quicker! This would also be ideal for travel because it can’t spill! I do, however, think the price is a bit steep but I have heard that these stick products actually have a deceiving amount of product in them – aka, they have a TON and it actually takes forever to use them up! So maybe the price is fair? What do you think? ?